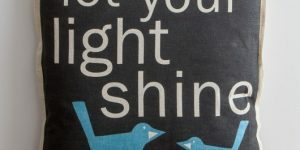 Looking for the perfect gift for dad for Father’s Day, birthday, Christmas, or any other occasion? Consider these collectible Budweiser gifts for Dad from The Bradford Exchange. 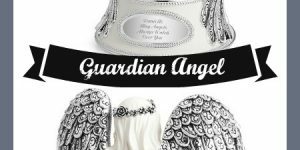 These are unique gift items that you won’t find anywhere else. Dad can enjoy building a collection of gifts with a Budweiser theme, perfect for decorating the home bar or dad’s man cave. 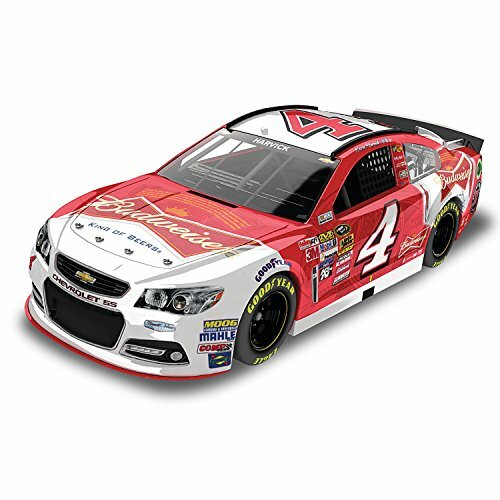 Here are some of the collectible Budweiser gifts available. 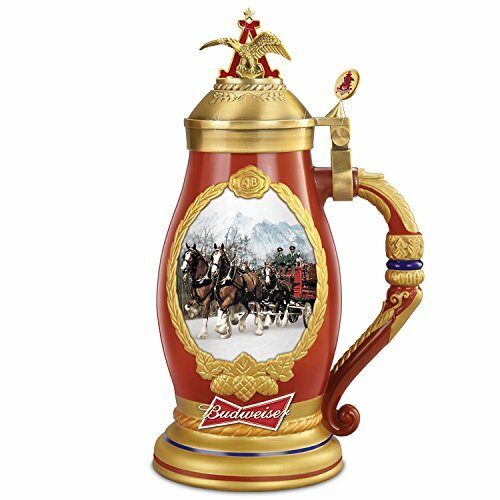 This is a great collectible gift featuring the Budweiser logo and Clydesdales. 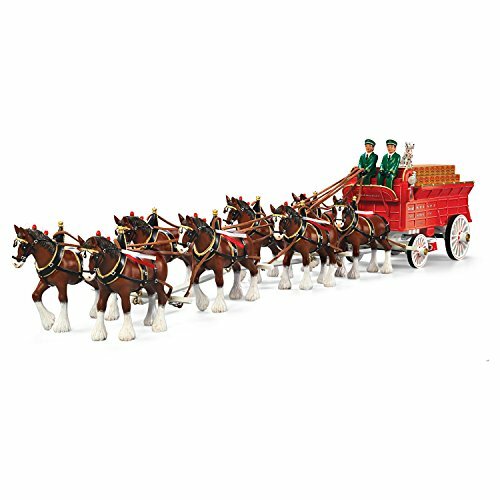 This replica of the Clydesdales pulling the beer wagon is a beautiful gift for anyone who collects Budweiser paraphernalia. So lifelike, you can almost hear the sound of the horses’ hooves. 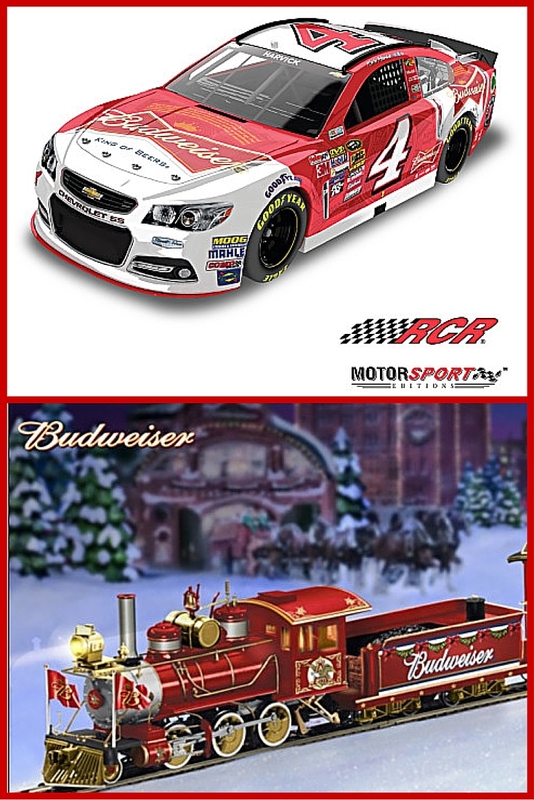 Add to your Budweiser train collection with these pieces from The Bradford Collection. You can build an entire train set up including these beautiful collector’s items. Buy one or collect them all. 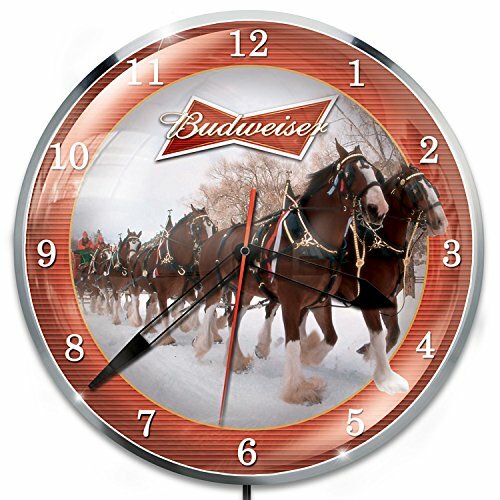 This is a circle shaped wall clock that features the Budweiser Clydesdales and the famous red bow tie logo. Measures 15 inches in diameter and is illuminated with 60 backlit LED lights. Clock has the latest technology and is powered by accurate quartz movement. Requires one AA battery. Perfect gift for the collector of either Budweiser memorabilia or beer steins. This is a limited edition handcrafted beer stein that has the Clydesdales and wagon on the front. Thumb rest and metal alloy topper also bear iconic Budweiser logos. Measures 10.5 inches tall and holds 32 ounces, perfect for dad to enjoy a cold one! 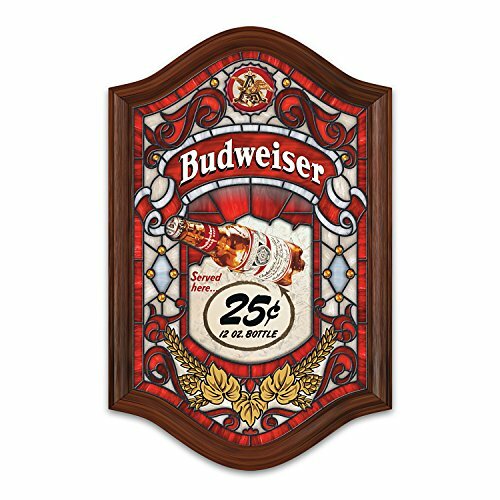 This tavern sign features vintage Budweiser logos and images, built in lights, and a mahogany toned wood frame. Attractive stained glass design in tones of red, gold, and white. 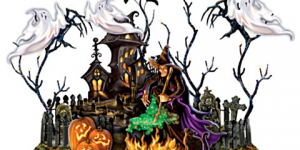 Measures 14 inches tall by 22 inches wide. Makes the perfect gift for the dad who loves to collect vintage beer advertising pieces or specifically Budweiser memorabilia. Perfect addition for any home bar area. This beautiful watch makes a lovely gift for Christmas, Father’s Day or a special birthday. Featuring the Budweiser/Anheuser-Busch logo and a durable leather band, this is a gift that will last for a lifetime. Show your Dad true appreciation by adding this to his Budweiser collection. Great gift idea for the Nascar fan. 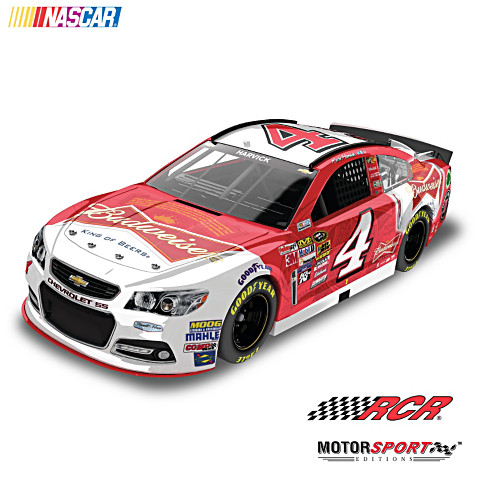 This licensed die cast metal car features Kevin Harvick’s 2015 paint scheme featuring Budweiser. Comes with a collector grade window box and contains over 180 parts. Car is 8.5 inches long and is a 1:24 scale. Perfect gift idea for the dad who happens to love to watch racing while having a cold beer. Car details include a die cast body, chassis, tie-rod assembly, hood and truck that open, accurate header detail, working steering, working roof flap, manufacturer-specific engine detail, and detailed interior. Looking for the perfect gift for dad for Father's Day, birthday, Christmas, or any other occasion? Consider these collectible Budweiser gifts for Dad from The Bradford Exchange.